Every year some children will argue. “Mrs. Killian, so and so pinched me and I have green on!” The child will lift up his/her pant leg or shirt or sleeve to reveal a green sticker. Then I hear something like: “Nuh-huh…did not” “Yes, you did!” “NO! I fake-pinched you.” Four years of college and a couple of master degree’s cannot prepare you for this stuff! Riverview hosted a Penny Wars last week. 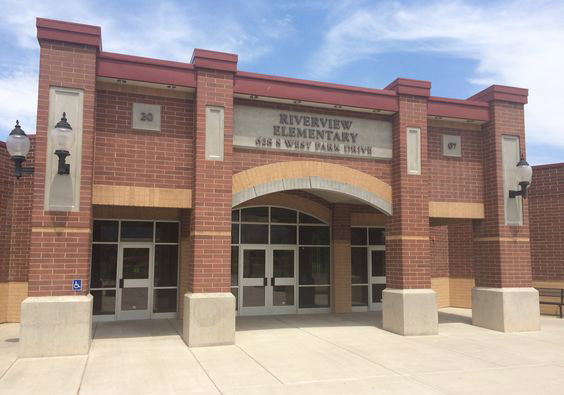 All the money raised will be put into a scholarship fund for a former Riverview student who will be graduating from Spanish Fork High School this year. Current Riverview students are paying it forward and helping a Riverview graduate ‘Make a Mark’ in the world! We gathered over $800 to go towards the scholarship. Way to go Riverview! Riverview SEP Conferences will be held Thursday, March 14th. You will be getting an email from SignUpGenius. This email will allow you to visit the website, find your child’s teacher (s), and sign-up for the time that is most convenient to your individual schedule. Parents, if you find a need to change your appointment the day of conferences, please contact the teacher so he/she is aware of the change. There will be no school on Friday, March 15th. March 14th – Character Education Assembly @ 2:00; SEP Conferences from 3:15-8:45 p.m.
March 27th – Champions Challenge Assembly @ 1:00 p.m.